We recently had a conference call where we listened to Oliver DeMille explain the four most important ideals that were present with the Founding Fathers that are missing today. What this presentation teaches about Freedom and America are eye opening and inspiring. To learn more details about Liber, come to the Face to Face with Greatness Seminar, Sept 25-26, 2009! The Freedom Project is a study of America's Founding documents and principles of government including The 5000 Year Leap by Cleon Skousen. This project studies various forms of government and their effect upon the happiness of the people. The Freedom Project meets in a classroom setting twice a month for nine months. This project is offered in communities around the United States and Canada, as well as Online. Sign up for a Freedom Project Class near you. Look at the sidebar on the right for schedules. George Wythe University’s “Freedom Project Certification” accompanies this project. (See www.gw.edu for the Freedom Project Certification requirements.) Upon completion of the certification three credits may be purchased and applied to a George Wythe University degree program. There are a few books that when you initially read them, simply resonate with your spirit. A Thomas Jefferson Education is one of them. I read many different books on educational philosophy over the course of about 7 years, searching for answers and learning by trial and error on my “guinea pig” children. I wanted them to have a superior education, but my own limited understanding and poor study habits were a definite hindrance. I had come to realize that a public school education would only give them what it had given me… and I wasn’t very happy or satisfied with the results. I wanted more for my children. What parent doesn’t want that? I’ve always believed in b uilding on what you have – weeding out the bad and improving on the good. I tried with all my might to “build” upon the public school system (classroom helper, homeroom mom, PTA, parent committees, school board), but it made no difference. The decision to “weed out” the public school system was decidedly the most difficult decision of my life – that was one HUGE weed; a gigantic leap of faith! It took over a year, once the thought took hold, to gain the courage to do so. With a very poor beginning, feeling alone and unprepared, through lots of tears and time spent on my knees, I began my experiment, knowing that my children’s future was at stake. I was always cognizant of the fact that this little experiment could literally destroy my children and their futures… and that it would be all my fault. Talk about pressure! This was an enormous crossroad in our family – our Rubicon. Taking this road would forever change the course and destiny of my family. Would it be for better or worse? 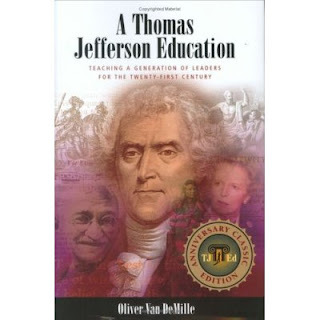 Four years into my homeschooling experiment, I was introduced to the book, A Thomas Jefferson Education. By that point I had learned a great deal about what worked and what did not. I was doing OK, and remarkably happy with our progress as a family in spite of all the limitations and deep seated fears that continued to nibble away at my confidence. I knew I was doing better than the public school up to that point, but it still wasn’t enough. Something more was needed. Thankfully, a generous and loving Heavenly Father had been supporting and guiding my fledgling efforts. We discovered George Wythe College quite by accident; a peculiar story I won’t take the time to relate in this paper. I also had a seventeen year-old daughter getting ready for college. One look at the curriculum and we were both sold… instantly. Then, as a matter of course, one cannot attend GWC without reading and learning about A Thomas Jefferson Education. I find it interesting that when something is right, it has a way of making itself known to our hearts almost instantaneously. It just “feels” right and something cries out from deep within our very souls. Then doubts come, but only because the heart has to compete with the mind; especially when a new idea goes against tradition. Somehow our society’s educational traditions have gotten off track. It was that insight that prompted me to make the attempt to teach my own children. But I also knew I couldn’t continue by myself indefinitely; I needed help! Badly. A Thomas Jefferson Education was an answer to prayer. It is much more than a book on educational methods or philosophy. It is a book on educational principles. My heart tells me they are correct principles; my experiences have confirmed them. However, friends, family, acquaintances, and even my own “conditioned” beliefs continue to fling traditions at me that keep me from implementing those principles to their full potential. Bad habits are so hard to break! Yet the principles are there. The paradigm has shifted. My vision and understanding of education – what it is and what it is not – changed drastically after reading about TJEd. Once your eyes are opened to a grand view of a beautiful scene, you are never quite the same afterwards. That vision stays with you. It may fade with time if not refreshed, yet the memory is always there to some degree. Suddenly all the small components of that scene take on greater meaning, purpose and depth. One can see how each piece fits into the larger, greater puzzle of life. Greater appreciation and reverence for each small truth begins to make an impact that changes our lives forever. Our course has changed. We take that fork in the road that leads us toward that beautiful new vision. We stumble, fall, question, and encounter roadblocks along the way, but we cannot go back once we’ve seen it… and be happy. Among all the substantial insights gained from reading A Thomas Jefferson Education, there were two key points that particularly captured my attention. The most striking was the injunction to "Inspire not Require". I have always known that the power of example is tremendous. Like the saying goes, “A picture is worth a thousand words”. But it especially hit home on one occasion in particular that I’ve never forgotten. When my youngest son was just a toddler he began exhibiting some very odd behavior. For no apparent reason, he would suddenly stop whatever he was doing, walk towards a blank wall or door and press his face against it, stand there for a few seconds, then just as suddenly turn around and go back to whatever he was doing before as if it were the most natural thing in the world. He would do this at least three or four times a day. My husband and I would look at each other and wonder what prompted him to act in such a bizarre manner. This baffling behavior continued for several weeks. It was the only abnormal quirk he exhibited. He acted much like any typical toddler in every other respect, so we weren’t overly concerned, but we were certainly curious! We often made comments like, “He’s YOUR child” or “He must take after YOUR side of the family”, and would just laugh it off, knowing he would eventually grow out of it. But I’ll be forever grateful that he didn’t grow out of it before I learned the powerful message he was bringing me. One day I was in the kitchen when I thought I heard a car in our driveway. Wondering who it might be, I walked to our laundry room door which opened out into the driveway and looked through the peek hole in the door. As I stood there gazing through the peek hole, my little boy came running up from behind and squeezed himself between me and door, again exhibiting that odd behavior of pressing his face against the door. Suddenly, in a flash of comprehension, I understood! He was copying me! Laughing, I quickly picked him up and positioned one of his eyes in front of the peek hole. I could see the little light bulb go off in his head as a huge smile spread across his face. Needless to say, his odd behavior immediately came to a halt. One look through the peek hole and he had the vision of what I was doing and why. This experience changed him. He never again pressed his face against a blank wall or door. From then on, he dragged a chair to the door and looked through for himself – behavior that made perfect sense. We have two doors in our home that open to the front of our house; both with peek holes. Obviously, my son had seen me and other family members use these peek holes, but being so short couldn’t see them from his low vantage point. He only knew that we would walk to a door occasionally and press our faces against them. Children learn by imitation, so he was doing what any normal child does. He was copying us even though it made absolutely no sense! Although this incident brings to mind many possible analogies and lessons, one of the greatest lessons I learned from it was the power of my example on my children… for both good and bad. But more importantly, how easily we follow and copy things that others do – that society does – that make no sense. How many false traditions do we pass on without understanding why? How often do we press our faces against a blank wall? Reading A Thomas Jefferson Education opened my eyes to many blank walls I had been pressing my face towards. Like my son, now that I’ve seen through that peek hole and caught the vision beyond the closed door, there’s no going back. I cannot continue a tradition and habit that doesn’t make sense. I have to change! And I have to find some way to help others see what I’ve seen. I have to learn to inspire! We were privileged to learn about a new book coming out in November 2009 called TJEd for Teens -- it gave us some interesting history about where the Teenage term was first used, and the consequence this concept has brought about the 'Midlife-Crisis' of our times. He introduced some questions that every teen can ask themselves which will help them focus on the correct principles and help them make better decisions. As we parents know, the teen years are transformational in the direction a person makes for a lifetime. He shared with us some of the "Transformational Life Questions" every person needs to ask themselves. The response by attendees' was incredibly positive. It has helped many of us to re-focus as parents so we can be more effective. Definitely a book on my list to get! The Seminar was well attended and very informative. We will post when another Seminar is available in locations of the Pacific Northwest. It will be posted in the sidebar..
Our freedoms are under attack, our economy has weakened and public virtue among our political leaders has vanished. History repeats itself and therefore we are experiencing the past due crisis in our nation. Although the government can be blamed for many of the maladies in our current economy, if there is to be real “change” it will come from the bottom and work its way up, not be imposed upon us from those on the top. That means that we must begin with our generation in order to become the informed electorate envisioned by the founders of our country. “If a nation expects to be ignorant and free…it expects what never was and never will be.”(Thomas Jefferson) By paying the price to obtain a Leadership Education for ourselves and our children, we can stop the erosion of our freedoms. Right now we are seeing in the world a period of deflation and revaluation in property, stocks and commodities. There have been housing bubbles, tuition bubbles, and even bubbles in the commodities that have burst and caused values to decline 50% and more. What has happened to the value of education during this deflationary period? This largely depends on the type of education one possesses. Unemployment rates are now in the double digits suggesting that the current recession has affected all sectors of the working class. Many highly educated individuals have found that they are no longer needed as businesses, out of necessity, down size their work forces. Where will the leaders come from to bring the United States back to the principles upon which the country was founded? Are these principles obsolete in the 21st century? The individuals that will lead our nation are being created right now in our homes. The United States is among the most educated societies ever to live on the earth. One who believes in the value of education might be predisposed to believe that our country would be free from many of the ills that have plagued former civilizations. Recent attacks on morality and the current economic crisis suggests we are not immune from these problems. What is wrong? Perhaps the answer lies in our education. In order to make the changes we need in our society, we must first know what types of education are now available to us. 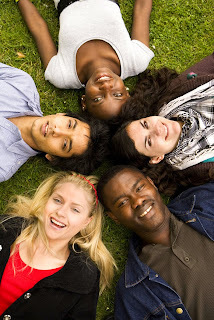 They can be divided into at least three groups: Job training, Professional, and Leadership Education. Job Training is the type of education offered by many universities, technical schools, training programs and the public schools in America. The purpose of this educational system is to give individuals the skills needed to obtain jobs and become functional citizens in the nation. There is nothing wrong with this form of education; in fact it is a great thing. Job training does have some weaknesses however, as we can see by the current number of individuals who have received this form of education that are now unemployed. These individuals sacrificed both time and money to acquire the skills that would get them good paying jobs. Unfortunately, many of these skills are now obsolete or are not currently in demand. Doctors, lawyers, accountants, engineers and many of those currently serving in political offices receive a professional education. These individuals are an integral part of any society because their services improve the quality of life for the people. The time and money required to receive a professional education is extremely great, and the monetary rewards they receive are commensurate with their investment. Because the services rendered by professionals are so needed, they have greater job security. These individuals are not immune from the economic recession however. Professionals may still have employment, but they have witnessed the erosion of their net worth thus requiring them to postpone retirement. There is another form of education that is known as leadership or Oxford education. This type of education involves the in-depth study of classical works, books, and art. Leadership education is based on the ancient Hebrew model of education, whereby a mentor works closely with a student to form a personalized education that will be a guide on the path to obtaining wisdom. Wisdom is defined by Webster as: “Insightful understanding of what is true, right, or enduring,” and represents the “amassed learning of philosophers, scientists, and scholars.” True wisdom, combined with common sense, or “native good judgment,” gives the student depth and breadth in all subjects, including math and science. We are living in the information age. Information however is of minimal worth if it cannot be converted into wisdom. Wisdom must also be coupled with moral principles to prevent tyranny and despotism. A good example of the lack of moral principles in leadership was demonstrated in the Third Reich under Adolf Hitler. Many of the Founding Fathers of America received a leadership education under the hands of great mentors such as George Wythe. George Washington, John Adams, Thomas Jefferson and their contemporaries studied the works of Montesquieu, Cicero, Plato and many others, in their original context and very often in their original languages. Those history lessons enabled the Founders to come together in the common cause of creating and preserving a system that would protect man’s inalienable rights and God-given freedoms. As a result of these men coming together with a common goal—because of their wisdom obtained through their education, and under the hand of God, the Constitution of the United States was born. Some argue that the principles upon which the United States Constitution is founded are outdated and not applicable in our day. To an extent that may be true, but if it is, it is a result of our Nation’s actions that are contrary to moral government. The Constitution has no power over an immoral people. John Adams stated: “Our constitution was made for a moral and religious people. It is wholly inadequate to the government of any other.” Morality has been steadily on the decline in our nation for the past century. The ills that have eroded the moorings of the Constitution cannot be corrected overnight and not without sacrifice and effort. The purpose of job training education is to teach a person what to think, professional education teaches people when to think, and leadership education teaches one how to think. What could be more important for all of us who love our country than to know how to think, how to study and plan, how to discern between right and wrong and how to have the courage to choose the right. Although all education is good, leadership education gives one a breadth of knowledge that allows the student to adapt to changing circumstances. This does not ensure that the person with a world-class leadership education will not lose his or her employment during economic downturns, but if that individual does, he or she will be more likely to find the silver lining in the storm cloud and the opportunities that inevitably accompany every crisis. The current crisis in our world has leveled the playing field in many ways for those in the work force. The leadership-educated entrepreneur now has many advantages over the individual who has become indebted to obtain a degree from a prestigious university. Jared Sorensen lives with his wife, Selena, and their 6 children on a ranch in Ruby Valley, Nevada. Jared and Selena are obtaining a leadership education through George Wythe University and are striving to give a leadership education to their children. In our politically-correct society, “them’s fightin’ words!” Therefore, one could almost dismiss them as sentimental; an out-dated, irrelevant Victorian platitude. But I couldn't; not since learning about the importance of statesmanship and leadership education in the home at the “Face-to-Face with Greatness” seminars. Statesmen, I learned, are ordinary people who choose to live good, honest lives and pay the price of greatness; who become the change they want to see in the world and who make a difference in society. Leadership education is the type of education our Founding Fathers had. These words resounded in me. Before our country was founded, before the Boston Tea Party, or the Stamp Act, and before Thomas Jefferson heard Patrick Henry’s “give me liberty or give me death” speech to the Virginia House of Burgesses, and before the men who made our country had paid their price to be great-- there was a woman. You probably haven’t even heard of her, but her legacy influenced the founding of our country. Her name was Margaret Walker Wythe. Margaret and Thomas Wythe, a plantation owner in Virginia, had two sons and a daughter together before Margaret was widowed at a young age. Her second son was having difficulty in the public school, so she brought him home and taught him herself. It was rare in those days for a woman to be educated, and Margaret was not merely ‘literate,’ she was a ‘highly educated woman’. She mentored her son until he was about sixteen in Latin, Greek, mathematics and more. Most importantly, she helped him acquire the greatest gift: a life-long love of learning. Margaret passed away about this time, but building on the foundation she gave him, he decided to study at the College of William and Mary. Unfortunately, he couldn’t afford it. He didn’t let that stop him, however. Indeed, over time, Margaret’s son became Virginia’s foremost classical scholar, the colony’s Attorney General, a delegate to the Continental Congress, a speaker of the Assembly, and a signer of the Declaration of Independence. In fact, the young man who’d been too poor to even attend the College of William and Mary eventually became its, and the nation’s, first law professor! Who was this great man who was educated at his mother’s knee? He was George Wythe, and the impact of his mother, “of this amazing woman…cannot be overemphasized.” 1 How would it be to have such a positive impact on your child; on your community? By obtaining a leadership education for myself, it’s possible. I soak up every opportunity I can to learn about the principles of great teaching, mentoring the classics, and creating within the walls of my own home a great environment for freedom and self-governance. Through studying the classics and coming Face to Face with Greatness, I am building my own superb classical education. I’m making a difference to my family and my community. I can be like that Victorian lady in the picture. I can be like Margaret Wythe. So can you. When it comes to educating our children, a Stateswoman’s place is in the home. 1Brown, Imogene E., American Aristides: a biography of George Wythe, Rutherford N.J: Fairleigh Dickinson University Press, 1981. Are you growing uncomfortable with the unexpected “stuff” your child is learning in school? Has your child lost his/her curiosity or creativity? Does your child view learning as a chore, or as something unpleasant? Have you noticed that public education treats your child like an object on an assembly line, where every child is taught the same thing and in the same way, even if your child has unique abilities that should be nurtured in a unique way? Has your child ever had a teacher that squashed his/her interest in a subject? Have you found your own personal education stagnating? If you answered “yes” to any of those questions, then perhaps a Thomas Jefferson Education (TJEd) is what you and your child need. The term “Thomas Jefferson Education” is named in honor of one of the great thinkers amongst our Founding Fathers. Thomas Jefferson, as well as several other prominent thinkers during the founding of our country, was mentored by a wise teacher, George Wythe, who taught Thomas through studying the great classics of literature, history, political thinking, mathematics, and science, etc. Our family started our TJEd about three and a half years ago. Since that time, I’ve observed the gradual transformation in our family as I, my spouse, and my children have read and studied some of these classical concepts (our education is not complete—not that you should ever “finish” learning). Following TJEd principles, the parents are to set the example by continuing their education, and so I’ve read more books in the last three years than I did in the previous 17 years combined. I’ve seen our 11 year old son close a book about Archimedes one Saturday and exclaim “That was a great book”. I’ve watched our 7 year old daughter change from crying that she “hates” reading and that she can’t do it, to now devouring 150 page novels in a day or two, and studying about animal science so that she can become a veterinarian when she grows up. She is writing her own novel that is quite interesting. When our 16 year old son was 12, he played the trumpet in the school band, but we couldn’t get him to practice, nor did he enjoy it. Now, he has discovered his talent on the piano, and several times a day he chooses to sit at the piano and work on a piece, or work on figuring out a song by ear. My children now love to read. I’ve noticed that the behavior problems have diminished; they’re not perfect, but there has definitely been an improvement. I’ve noticed that my children have become more kind to others. Their willingness to do chores has also increased; again, they’re not perfect here, either, but they have improved. If you’d like to learn more about a Thomas Jefferson Education for you and your children, please contact Ann Agent, 503-939-6577 to participate in an introductory meeting. Or sign up for the Seminar: You, Not Them to be held in Portland OR on September 25-26, 2009.
in the Washington County Library System. There are many “styles” of learning that are well recognized. This particular approach to education is very different. It was named by Oliver DeMille based upon his intensive personal study of the Founding Fathers. He learned how Jefferson was educated through the mentoring of George Wythe, a signer of the Constitution and a great leader of that time. DeMille also researched the other great leaders throughout time and found they had very similar experiences to their education. This is actually a philosophy approach referred to as Leadership Education— a set of principles applied to the various modern styles of education most are familiar with. is divided into 4 Phases of Learning, supported by 7 Keys of Education under each developmental phase and done in the 5 Environments of Leadership Education. No matter when one begins to use this philosophy whether from birth, or later in life, everyone must go through the Phases (and included are some examples of some educational methods most effective for that phase). This process can be applied to ANY educational environment and not limited to Public or Private School, Home Education, etc. But the princples are used in all activities and phases of living. The heart and habits of life. This is where the values, character and work ethic are learned typically through play. Such as right / wrong, how to relate to the world around them, others & introduction to social skills. This is a flutter-by stage when a child will want to try it for awhile then drop and move on to new things. They are curious but not capable of deep intensive study yet. The attention/focus time still relatively short. They are enjoying the journey of looking into a myriad of things. An introduction to everything is going on in this phase. They “practice scholar phase” as they transition. Broad and deep study preparing for life’s mission. The learner willingly takes on long periods of intense study 8 – 10 hrs at a time is typical. Eventually leading up to 5,000 to 8,000 hours of study. They focus on this intense personally driven study 5-6 days a wk for 10 to 11 months per yr. They are self-motivated and somewhat reclusive because they are intent to learn. This is considered “pre-university” study. They use mentors, and willingly seek to have their work reviewed and will do it again until it is excellent. This is where the learner now goes into professional study, typically at a university. Here is when one has figured out his “life’s mission” and does all he can to achieve it, receive training for it, it’s the Depth of Knowledge process. just now learning the phases and modeling the behavior for their children. They are built through the 7 Keys of Education. – in other words, living books, and original sources. These will give a better education than a textbook where others have decided for you, what they want you to know. I think that textbook learning is why so many disconnect learning, they are only getting part of the picture. - or experts...lets face it the expert and the professor know what they know because they paid the price. Thatknowledge does not automatically transfer to the student. Mentors, on the other hand, can guide and encourage students to become their own expert. – Requiring a child before he is developmentally ready can lead to hate of learning and resistance. Development is not determined by age or intellect. Parents need to be the examples.... Children need that parental example. They need the core phase. If you feel your core phase was inadequate, get one! – Inspire comes from the root meaning of "in spirit". Are we "in the spirit" of learning? – Parents getting inspired will do more to help their children discover their own passion for learning when they lead by example, than by anything else they can do. Lead out and avoid "educational vomit" meaning don't pounce on a child the moment they utter any sign of interest in a subject. – We lead them to learning through our own example of being passionately involved the the pursuit of knowledge. better to set an amount of time for study, than it would be to define the content, such as a chapter a day. You may study just one verse, or be led to follow a thread for a time. – When a curriculum is complex, the more reliant the student becomes on experts and likely to be caught up in the Requirement/Conformity trap. The more work we have to do to: prepare, or complete a task, the less likely it will get completed. Sometimes we add all kinds of busy work that is really not needed. Education means the ability to think, independently and creatively. Great teachers train great thinkers, and great leaders, by keeping it simple. Find a great thinker and leader in history, and you will find this method in their educational background. – If you think these principles are about improving your child’s education, you will never have the power to inspire them to do the hard work required for self-education. As the parent/mentors we must model the behavior, while the children continue where they are, learning in the mode they a accustomed to. You begin your education, set the tone, be the example, establish a house of Learning. You do not need to be an expert to inspire a great education (the classics provide a variety of expertise) but must be setting the example. referred to as "5 Pillars". all values and morals come from aka, your "Central Classic". These 5 Pillars work best when you have others to discuss these things with. This philosophy to education has trained great leaders from Washington, Jefferson and Abigail Adams to Lincoln, Churchill and Gandhi to name a few. (2) that you are doing it effectively. Use whatever means available for to you to know what is right for your family. It is essential to be truly secure about seeking a Leadership Education. Its also important to know you are doing it well. Either by trying it for years on your own (learn by trial and error – which is stressful) or by learning what works from those who are doing it successfully – in the classics, in books*, in seminars & conferences specific to Leadership Education. In other words, being mentored by those experienced in Leadership Education plays an integral part in ensuring your success. By learning and applying the Leadership Education principles, you can best use the types of specific educational methods at the right time in the right way. This is the path to obtaining superb education. We'll use tools effectively, spend time wisely, focus on the appropriate phase of learning and truly achieve the ability to think for oneself and learn our life's mission. We'll also have the knowledge to stand up for true principles and be able to mentor our children effectively toward their own life's missions. For more information about the Oregon group contact: TJEd-OR-owner@yahoogroups. or http://FaceToFaceWithGreatness.com to locate a seminar near you.